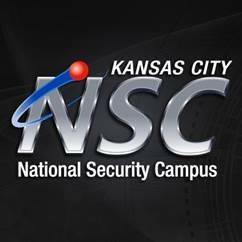 Honeywell manages the Kansas City National Security Campus in Kansas City, MO and Albuquerque, NM for the U.S. Department of Energy’s National Nuclear Security Administration (NNSA). With the efforts to reduce the nation’s nuclear stockpile, we deliver safe and reliable products and services for national security programs in the most cost efficient way possible. Beginning in 1949 as the Kansas City Plant at the Bannister Federal Complex, we’ve been solving some of the NNSA’s most intricate and technically demanding engineering and manufacturing challenges for more than six decades. Today, our mission has grown to serve other government agencies including the Department of Defense and Office of Secure Transportation. Our facility has evolved into a high-tech research production facility that specializes in science-based and additive manufacturing. In 2006, Honeywell and the NNSA embarked on a strategy to ensure the longevity of its mission in Kansas City while returning more than $100 million in savings to taxpayers annually. Part of that strategy included the construction of a new facility in 2012. The project had a net savings of $238M to the taxpayer while delivering a new flexible infrastructure to meet national security manufacturing needs for the next two decades.